NORWICH, CT- The Connecticut Tigers, Class-A Affiliate of the Detroit Tigers, will take the field on Saturday, July 14th as the New England Lobster Rolls on "New England Night". The team will wear Lobster Rolls hats and jerseys on field. 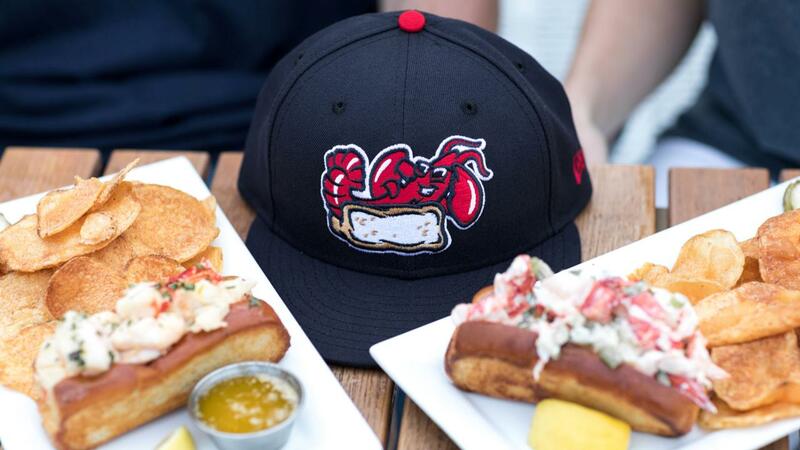 Fans are encouraged to visit golobsterrolls.com for more information about the night as well as Lobster Rolls merchandise including hats, t-shirts and more. The Lobster Roll is described as a sandwich native to New England made of lobster meat served on a grilled hot dog-style bun with the opening on the top rather than the side. In Southeastern Connecticut, many restaurant menus as well as many jobs revolve around lobster. The shoreline of Long Island Sound, in towns such as Stonington, Noank, Mystic and New London, is an area particularly influenced by fishing. "We wanted to come up with something new and fun for our fans to celebrate some of the very best of our region and it doesn't get much more 'New England' than baseball and lobster on a summer evening," said Connecticut Tigers General Manager Dave Schermerhorn. "Lobster is a common thread that connects all of New England but is also particularly relevant here in Southeastern Connecticut as many elements of our lives are impacted by the shoreline of Long Island Sound". The Lobster Rolls will take on the Vermont Lake Monsters (Athletics affiliate) at 6:05 pm on Saturday, July 14th. The first 1,000 fans through the gates will receive a pair of Lobster Rolls sunglasses. Gates will open at 5 pm. Mystic Aquarium traveling teachers will be on hand with lobsters for hands-on activities with a focus on sustainable seafood. Further details about New England Night will be announced shortly including elements such as special food and beverage options. The Lobster Rolls logos were created by Brandiose in San Diego. The Connecticut Tigers and Brandiose previously worked together to create the club's alternate logos, Dodd Stadium logo and 2013 New York-Penn League All-Star Game logo. The Connecticut Tigers full 2018 promotional schedule will be released Tuesday, May 22nd. The Connecticut Tigers are the New York-Penn League affiliate of the Detroit Tigers at Dodd Stadium in Norwich, Connecticut. 2018 individual game tickets, season memberships for "The Club", mini plans, and team merchandise are now on sale! The 2018 season kicks off on Friday, June 15th as the Tigers take on the Lowell Spinners (Red Sox affiliate) at Dodd Stadium at 7:05 pm. The front office and box office is open daily from 9 am to 5 pm Monday through Friday and can be accessed in person or by calling 860-887-7962.